UNED | What is uned asiss? • UNEDasiss is a UNED service created for the management of access and admissions of students to Spanish universities. • It is especially directed at international students. • Through UNEDasiss international students can obtain an accreditation in which they can apply for admission to undergraduate studies in the Spanish universities. UNEDasiss accreditation is a digital document which will be available to all Spanish universities through our electronic headquarters. UNEDasiss accreditation is a digital document to which the universities joined to UNEDasiss system will have access directly. • Facilitate access to Spanish universities for students from international educational systems through the issuing of accreditations and the completion of specific competency exams. 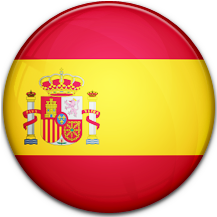 • Facilitate the internationalization of the Spanish university system, offering universities a homogenous and regulated assessment of academic records as well the knowledge and competencies obtained in international educational systems. • Become a national and international reference in activities related to accreditation of pre-university studies carried out in international educational systems for access to Spanish universities. • Maximum agility in the processing of accreditation requests that ensure all students the possibility of access to Spanish universities under conditions that are equal to those of students from the Spanish educational system and within the periods established in the university admissions procedure. • Efficiency and promptness in management. • Guarantee of equality of opportunities.